Take one part premium fish, add only the finest accompanying ingredients, and enlist the help of award-winning chefs. That’s our recipe for sensational sushi, and that’s the reason locals and the press both rank I Love Sushi among their favorite Seattle Japanese restaurants. 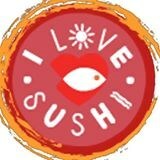 For a quick meal, an elegant evening, a private event, or a catered party, find out why no one does sushi better.